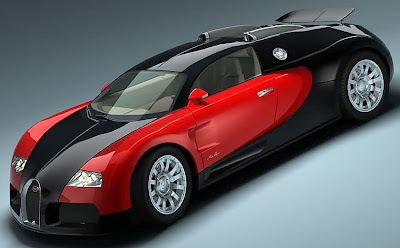 Seven years after the first Bugatti Veyron Coupe was purchased by a car freak equipped with a brain-meltingly large wallet, the final one rolled off the dedicated production line at Bugatti just a few weeks ago. Artoart Veyron about as good as metal-casting technology allows. In total, 300 of the 987bhp hypercar were made by the time production stopped on June 27, so if you are after one now you are going to have to go to one of the existing owners and make them a decent offer - or maybe an offer they can’t refuse. Neat detail and removable parts mark the Autoart Veyron. 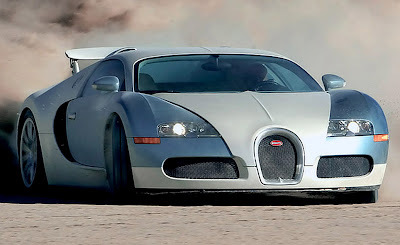 The final Bugatti Veyron was ordered by an unnamed European customer, marking an end to the triumphant reign of this supercar, making it a worthy successor to classic Bugattis of old, and definitely one of the most valuable cars ever created. Retro-era two-tone paintwork a mark of the Veyron, real or miniature. Still, the Veyron story isn’t over yet, as the Grand Sport GS convertible remains in production. So if you want to drive at 360 km/h (224 mph) with the wind streaming past your ears, now’s your chance, as Bugatti won’t stop making them until the 150-car sales target is reached. In the model world, there is no similar shortage of availability - Veyrons are, if not exactly a dime a dozen, then not too pricey for most pockets either. Even so, the choice lies in the diecast arena, rather than with kits, and prices range from as high as $1000USD (£560GBP), all the way down to an easy on the pocket $4.90USD (£2.99GBP) for a finger-length Siku offering in black/red or silver/blue. 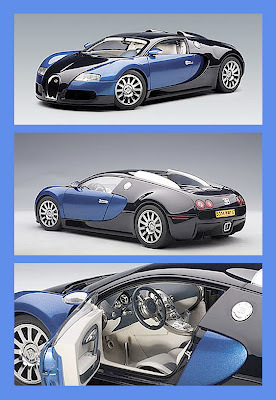 That top-price Veyron is an Artoart 1:12 scale model, finished in a very handsome pearl and ice blue colour scheme. There are 518 components, including all the usual details such as photo-etch sections, wiring loom, extending air brake, exposed engine, plus various opening sections including the twin doors. As you might expect at this price, interior detail is truly excellent. Regarding that price, don’t forget to shop around, as there are cheaper suppliers out there. We featured the Veyron GS two summers ago here. 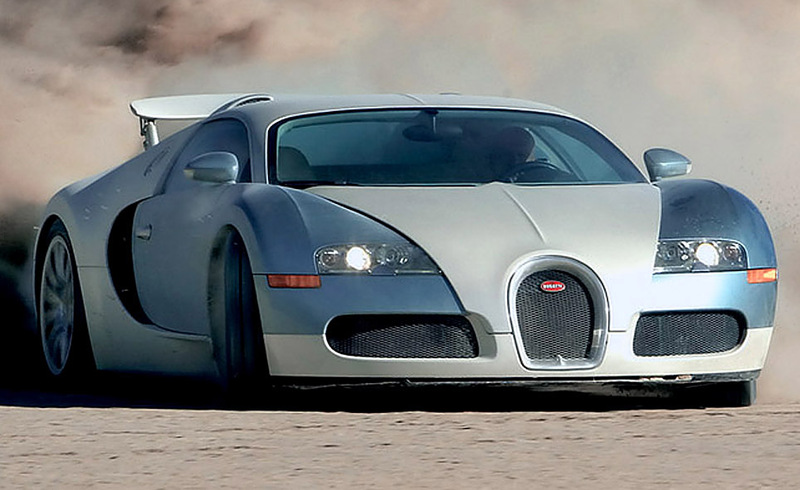 Autoart makes various diecast models of the Veyron, and in different scales too. Have a look here. And a garage-full of choice from various makers here.